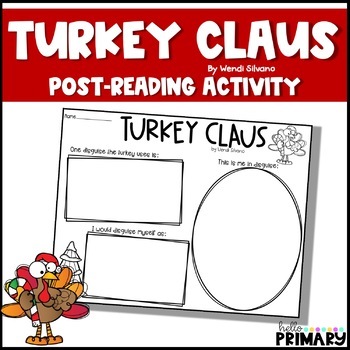 We all love Turkey Trouble by Wendi Silvano, and this worksheet is a great post-reading activity for her Christmas book Turkey Claus! Turkey is in trouble again, and this time he needs to find a disguise that will allow him to meet with Santa on Christmas Eve! After reading, students can use this worksheet to come up with their own disguise to meet Santa!